We all get a slow week at the office now and again. This could be due to a variety of reasons but the most important thing is to use your new found time wisely. With this in mind, why not get ahead of yourself and write a few blog posts. You could of course put all of your newly written posts out into the big, bad world in one go and bombard your followers with fresh content. But then in a weeks time, when you aren’t having such a quiet week, you might struggle to find the time to write another and starve your users of the content they love. 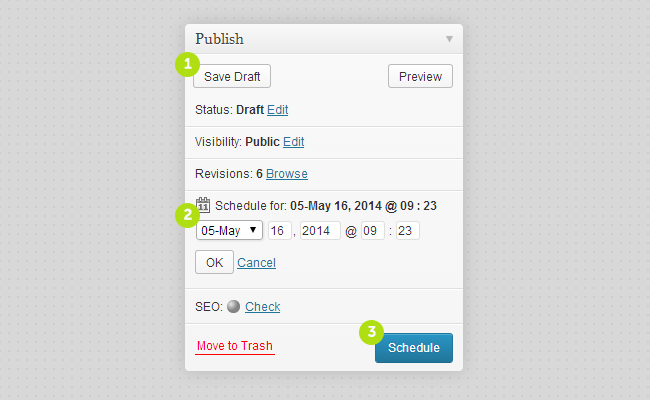 If only there was an option in WordPress to set a time for your individual blog posts to go live?! A little known feature of WordPress is the ability to do just that! You can easily schedule posts at the click of a button using the options in the ‘Publish’ area of the ‘Edit Post’ screen. Write your blog post as normal and ‘Save Draft’ so it’s safe ready to publish when needed. To set a date and time for your new blog post to go live, simply click on ‘Edit’ within the ‘Publish’ panel to expand the box and enter the required details. Click ‘OK’ and then hit ‘Schedule’ and your lovely, shiny new blog post will automatically post onto your website on the chosen date just like magic! 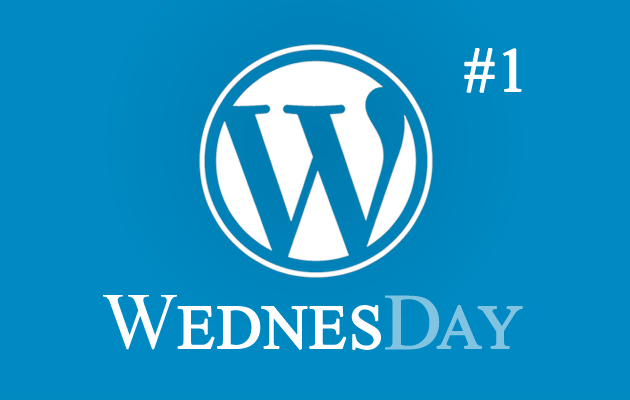 Keep a lookout for more great WordPress tips next Wednesday!